In this current market, with home prices trending up, but access to financing is more difficult post housing bubble. So, if you want to sell your home, is it a good idea to offer seller financing? Unlike a traditional bank mortgage where a lump sum is given to the buyer to purchase the home, seller-financing means that the seller allows the buyer to make payments directly back to the seller. Most often, the homebuyer signs a promissory note with the seller that outlines the selling price, the interest rate, repayment schedule and even the consequences if the buyer defaults. In most cases, a seller-financed note is short-term. Since most sellers don’t want to carry a note for 15 to 30 years, the typical note is for around five years with a balloon payment at the end where the buyer secures a standard loan for the remaining balance. Is it good for the seller? Being able to sell “as is.” If your home requires costly repairs, selling through owner financing may allow you to pass those costs on to the buyer instead. Potential investment income. Buyers looking for owner financing may be willing to pay a higher interest rate to you than you would receive through any other type of investment. Typically, you must own the home free and clear, and the buyer takes on taxes, insurance and any association dues so all income from the payments goes to the seller. Opening up the purchase to additional buyers. Potential homeowners that were hit with difficulty during the housing bubble may not be able to get traditional financing even though they are now able to make mortgage payments. Self-employed or contractor may not be able to get favorable loans due to tighter underwriting requirements and may desire purchasing through seller financing. Some possible pitfalls include what happens if the buyer defaults. If the promissory note is executed correctly, the seller gets the home back along with all of the monies paid to date. At that time the seller is free to sell the home again, but the “buyers” may leave behind damage and the need for costly repairs. If you are new to owner financing, make sure to work with a real estate attorney and a professional real estate agent to make sure the sales contract and promissory note fully protect you. There may be tax ramifications to seller financing, so be sure to contact your CPA or tax professional. Since it is in your interest for your buyer to be able to refinance at the end of the note, offer to report the payments to credit reporting agencies to help build your buyer’s credit score. 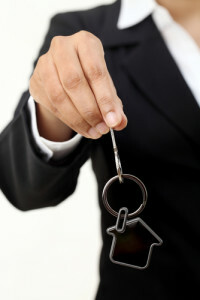 While individuals typically cannot report directly to these agencies—they have strict lender guidelines—services like Virgin Money can manage and report payments for you to alternative credit reporting companies such as PRBC, that many mainstream lenders now refer to for information on potential mortgagees. If you’re considering selling your home, and wonder about seller financing, talk to us. We can help connect you with professionals to guide you through the process while we market your home.